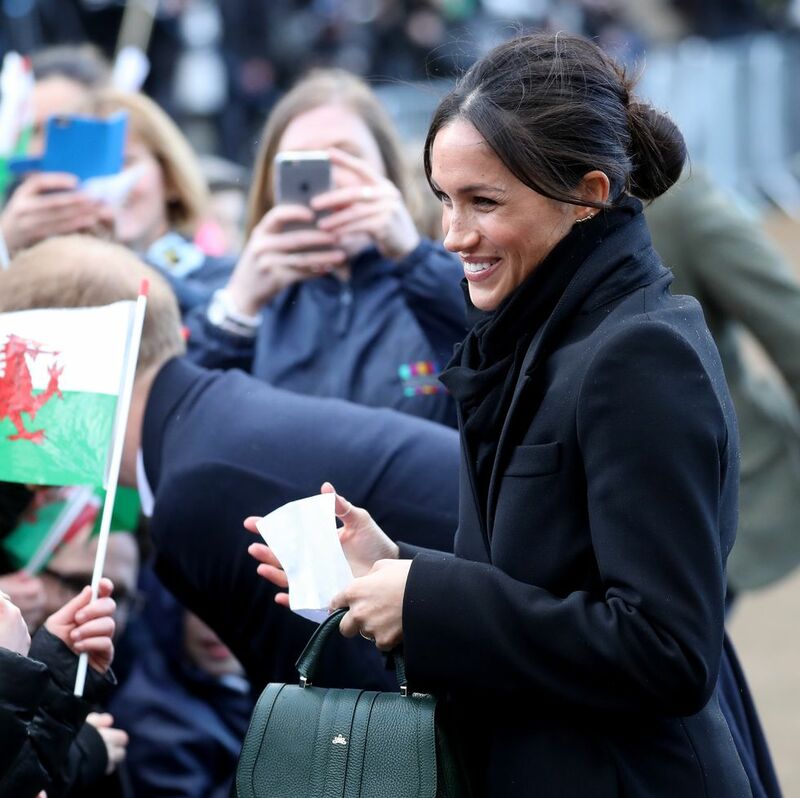 DeMellier has become a household name for royal watchers – Meghan, the Duchess of Sussex, memorably carried their now-iconic Mini Venice bag on one of her first royal engagements as Prince Harry’s fiancée. 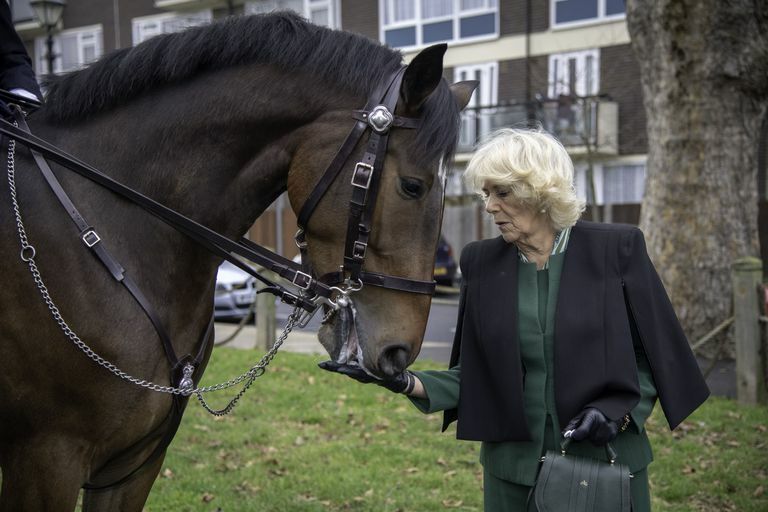 Now, the elegant forest green bag has become a favorite of another royal – Camilla, the Duchess of Cornwall. Although it is anybody’s guess how two women, within the same family, came to own the exact same stylish handbag, we like to think there was a token of friendship involved. It isn’t just Meghan and Camilla who love DeMellier either. Princess Beatrice loves the brand’s Dubai handbag, and has often been seen toting it around London. The tote-style bag features an optional crossbody strap and fits a 13” MacBook (VERY important, in our humble editor’s opinion). Beatrice carried the bag in a lush burgundy leather around the streets of London. That means that three royal women (four, if you count Queen Bey or five if you count Pippa Middleton!) have given the brand their stamp of approval. What is it about the London-based brand that the royal family loves so much? Surely, royal women are attracted to the message of empowerment that the brand embodies. Speaking to Town & Country, founder Mireia Llusia-Lindh shared that she “started DeMellier with the vision of doing things differently, to create handbags that would make women feel empowered, that were beautifully designed and of the highest quality, but also made with integrity whilst finding a way to give back to those less fortunate.” These qualities – women’s empowerment, integrity, and giving back – are at the core of the work that royal women like Meghan, Beatrice, and Camilla carry out. These purchases don’t just add an extra handbag to the collection – DeMellier created the “A Bag, A Life” permanent charity initiative. For every bag sold, a set of life-saving vaccines is given to a child in need. 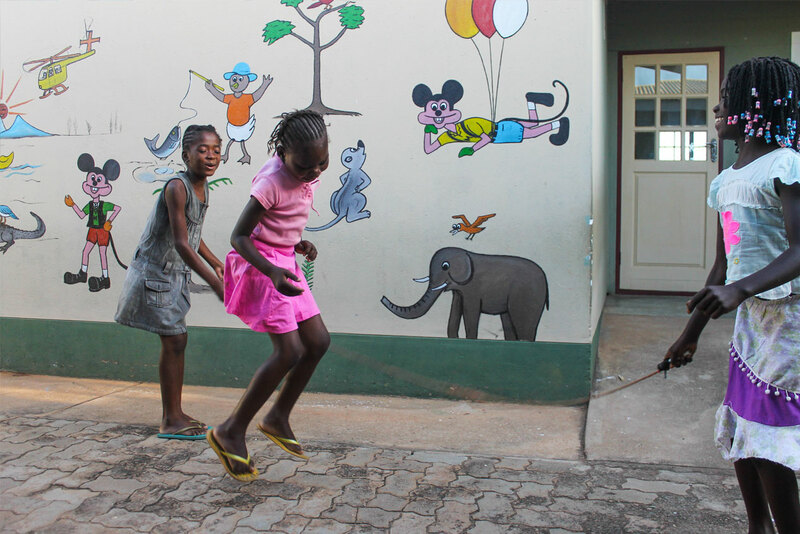 The brand works with SOS Children’s Villages to provide vaccines to children in underdeveloped country to provide medical care to children in Somalia and Zambia, where currently 1 in 6 children do not live to see their 6th birthday. Meghan, Camilla, and Beatrice surely know the impact of their fashion choices, and are aware that their closet can do good, especially when choosing a brand that participates in charitable projects. DeMellier’s charitable aspect is hugely appealing to royal women. Although Camilla and Beatrice do not have as strong of an impact as the “Meghan Effect”, they still carry a lot of weight with their wardrobe choices. Royal reporter Rebecca English admits that she had heard of DeMellier before Meghan wore the brand – she purchased a bag of her own after seeing Princess Beatrice carrying a DeMellier bag. Very few brands carry this multi-generational, multi-royal stamp of approval. Some high-end brands, such as Gucci or Chanel, can be seen throughout royal closets, but the very best thing about DeMellier is their accessibility. Our editors are personally enamored with The Gothenburg and The Dubai styles, but you really cannot go wrong with the now-iconic Mini Venice. 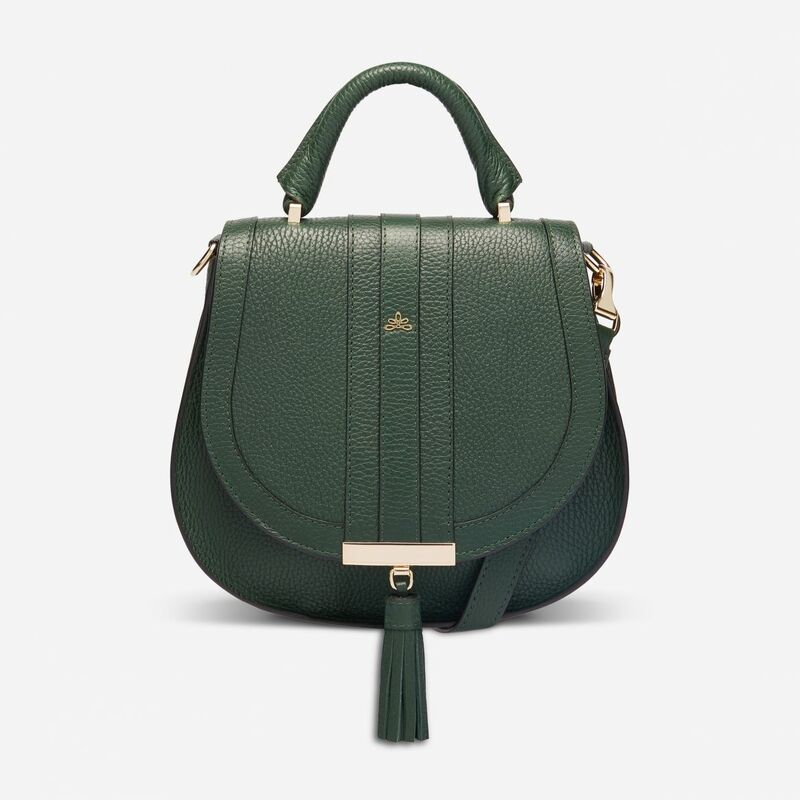 For Spring 2019, the Mini Venice got a makeover – Meghan and Camilla’s Forest Grain colorway remains available (although consistently in limited stock – the bag is still selling out! ), but we have to rave about the new colorways, such as the Cognac Grain or Dusty Rose, perfect for warmer weather and trendy floral prints. The Mini Venice also comes in a gorgeous croc-effect leather in multiple colorways – an oh-so-luxurious look, ideal for a Duchess. Really, you can’t go wrong – any DeMellier style will add that royal stamp to your own closet. If you’ve been considering adding one of DeMellier’s dreamy bags to your wardrobe, there is no better time to do it than now! 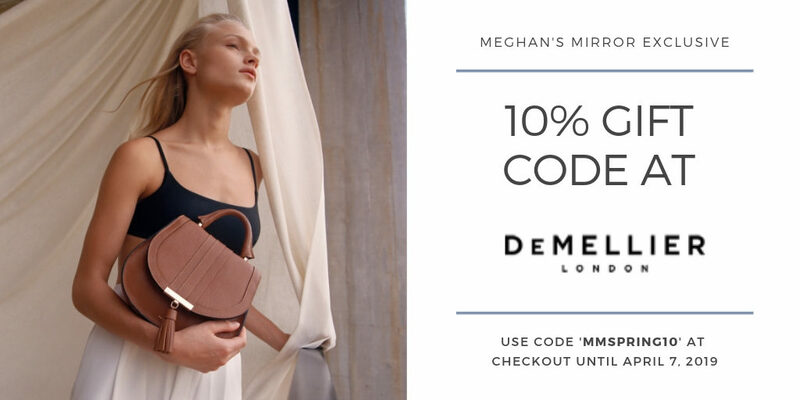 The team at DeMellier has graciously offered a 10% gift code to the readers of Meghan’s Mirror, valid until Sunday 7th April! Use code ‘MMSPRING10‘ to get a stylish deal on a Royally approved bag of your own. Thanks for a fun post MM! And thanks for the 10% discount on these fantastic purses! I’m seriously considering getting the Mini Venice in the dusty rose color 🙂 I really like Beatrice’s bag but the flare on the sides just kind of bugs me 🙁 if it had straight sides it would possibly be the perfect purse. When I first saw Camilla with this purse, my very first thought was that it was a loan from Meghan and I still hold that thought. It’s fun to think of Camilla and Meghan sharing accessories like a handbag or a piece of jewelry.